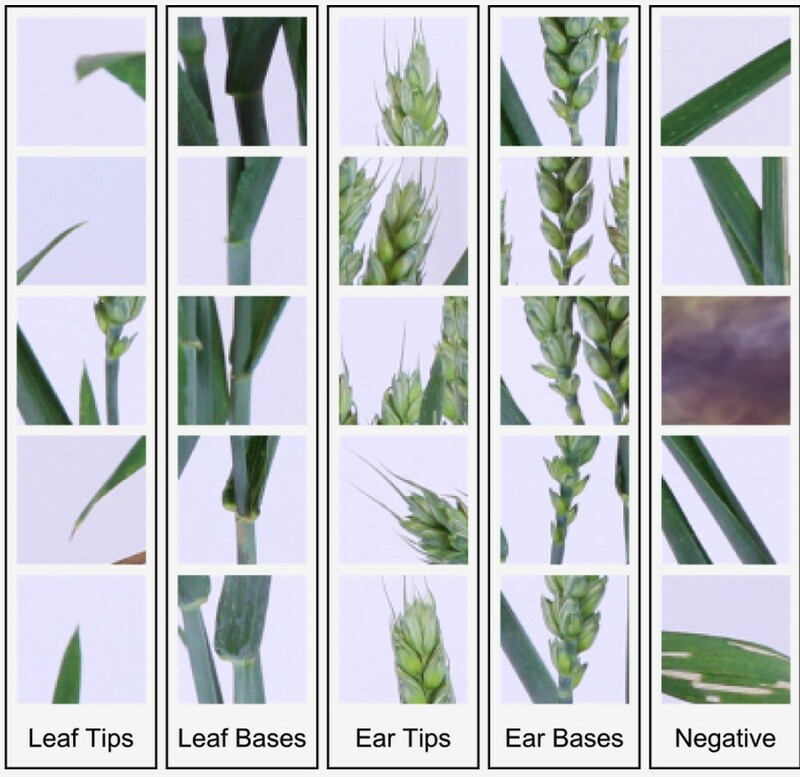 Supporting data for "Deep Machine Learning provides state-of-the-art performance in image-based plant phenotyping"
In plant phenotyping, it has become important to be able to measure many features on large image sets in order to aid genetic discovery. The size of the datasets, now often captured robotically, often precludes manual inspection; hence the motivation for finding a fully automated approach. Deep learning is an emerging field that promises unparalleled results on many data analysis problems. Building on artificial neural networks, deep approaches have many more hidden layers in the network, and hence have greater discriminative and predictive power. We demonstrate the use of such approaches as part of a plant phenotyping pipeline. We show the success offered by such techniques when applied to the challenging problem of image-based plant phenotyping, and demonstrate state-of-the-art results (>97% accuracy) for root and shoot feature identification and localisation. We use fully automated trait identification using deep learning to identify quantitative trait loci in root architecture datasets. The majority (12 out of 14) of manually-identified QTL were also discovered using our automated approach based on the deep learning detection to locate plant features. We have shown deep-learning-based phenotyping to have very good detection and localisation accuracy in validation and testing image sets. We have shown that such features can be used to derive meaningful biological traits, which in turn can be used in QTL discovery pipelines. This process can be completely automated. We predict a paradigm shift in image-based phenotyping bought about by such deep learning approaches, given sufficient training sets. Displaying 1-10 of 39 File(s).